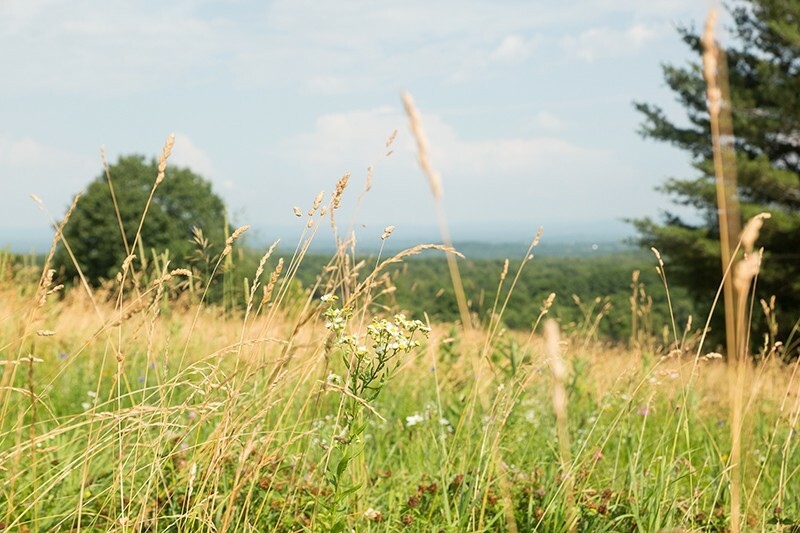 If the Hudson Valley is known for anything, it’s the prominent beauty of its nature. Between grass fields, rolling hills, brilliant autumn leaves, blue mountains, and the majestic river, there’s no end to the picturesque vistas. So when you plan an event or retreat, why settle for an indoor stay? Your next fresh air getaway awaits in Greene County, where the aptly-named Gather Greene venue will open in late October. 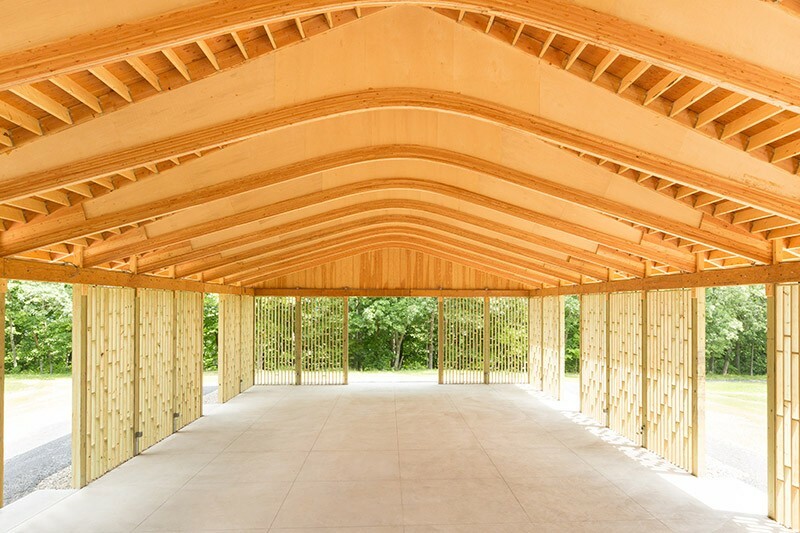 Gather Greene is a brand new event space and glamping site in Coxsackie, NY that will hold private and public events and destination weddings. 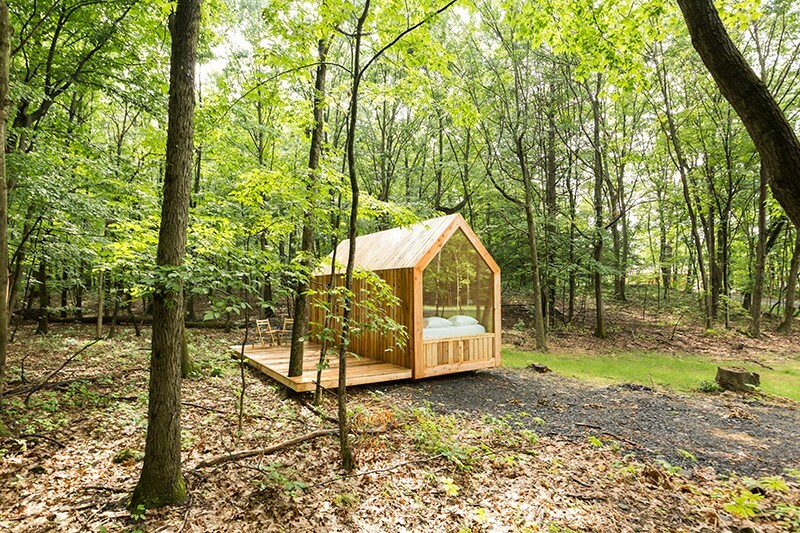 Whether the occasion is a leadership retreat, Parties can rent the entire space and stay on-site in the glamping cabins for an upscale, immersive nature experience. With 100 acres of woods just 20 minutes from Hudson (across the river) and the Catskill mountains, the grounds offer a private and relaxing place to gather with friends and family, while offering the convenience of accessibility. Cofounders Jackie Brown and Amna Ali sought to fill a niche in the special event market by designing a flexible nature retreat site. 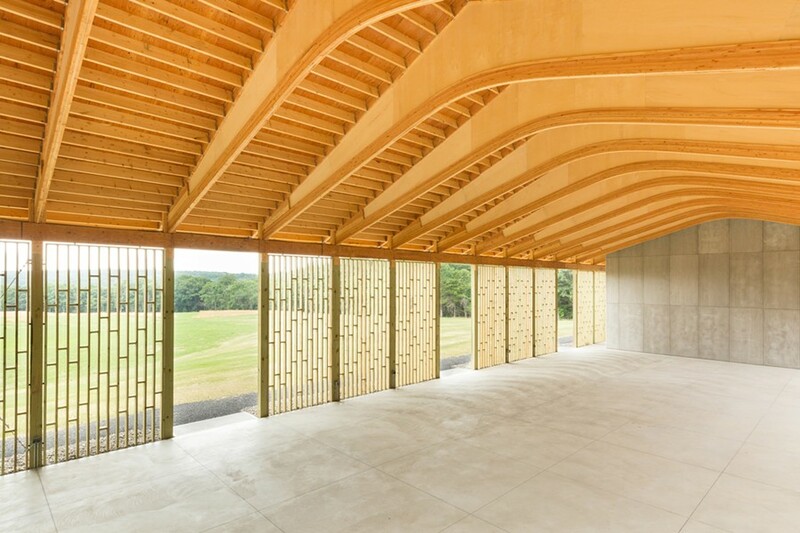 The focal point is the pavilion—a permanent, open-air structure that has capacity for 250 guests and can withstand harsh weather. It has over 4,000 square feet of space, adaptable for different types of events, with 28-foot-tall, arched ceilings, a full catering kitchen, six single-use bathrooms, two dressing rooms/meeting suites, and a large upstairs lounge. Soon the pavilion will be the site of weddings, reunions, retreats, performances, meetings, and more. “We really put a lot of thought into the details to anticipate the needs of a range of guests, including a full kitchen to bring in catering partners, comfortably designed spaces for dressing suites or meeting rooms, electrical outlets for AV equipment, and more,” Brown says. Gather Greene is now taking reservations and begins hosting private events this fall. They will also host some public events—check their website for more details. 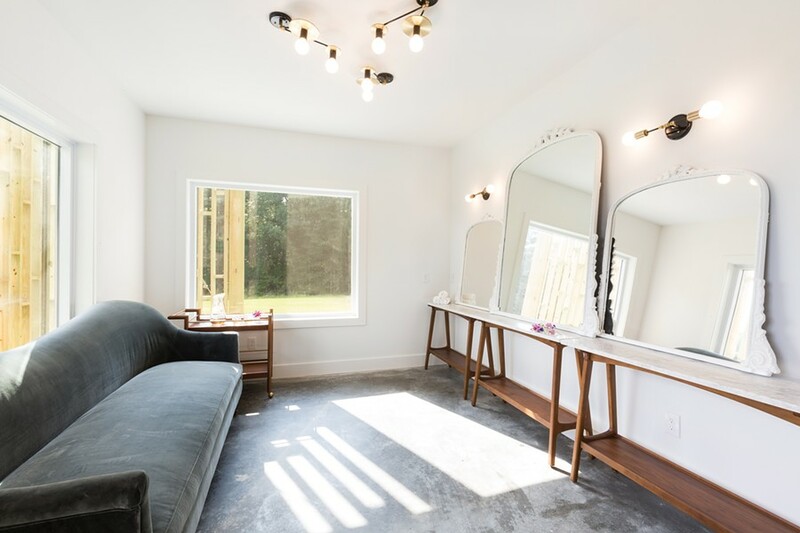 You don’t need to throw a fancy function to visit Gather Greene—its upscale, tiny homes are fit for anyone looking to escape for awhile. 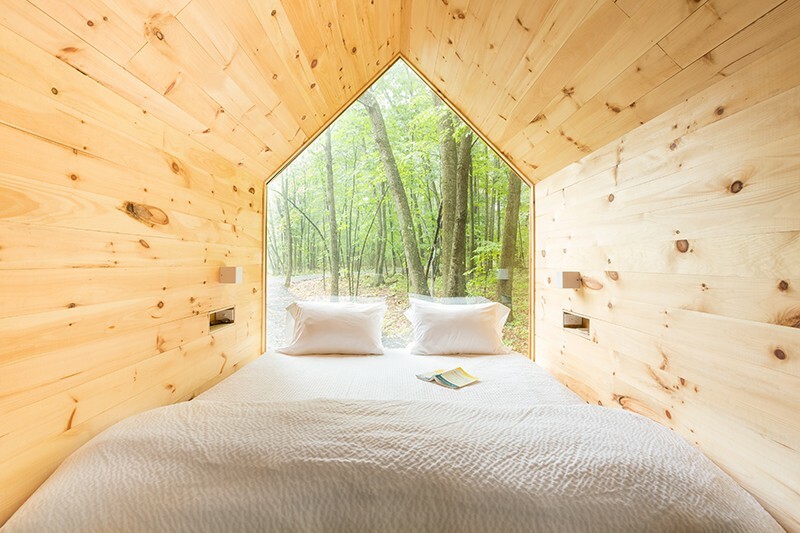 Each 160-square-foot glamping cabin has a king-size bed, full bathroom, closet with a large mirror, and an outside deck with table and chairs. They’re also equipped with a coffee maker, electric tea kettle, and locally-sourced bath products. Guests have the option to pre-order food and drink from local cafes and shops so you never have to leave this sanctuary of relaxation. Gather Greene has picnic tables, hammocks, fire pits, lawn games, and hiking trails onsite for guests to use at their leisure. Plus, the space will partner with local artisans to offer outdoor workshops like cheese making, scent blending, rug making, macrame weaving, and floral arrangement. Overnight stays start at $250 per night. To book events or reserve cabins, email Gather Greene or visit their website for more information. "From Weddings to Corporate Retreats, This Nature-Based Venue Accommodates All Event Types"